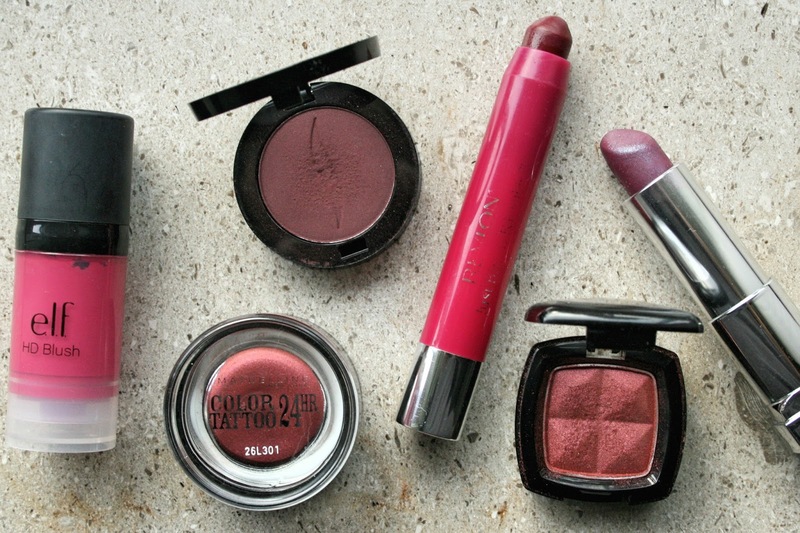 'Tis the season for dark burgandy-plum colors, so if you are looking for new products to try out this season, here are six of my recommendations. 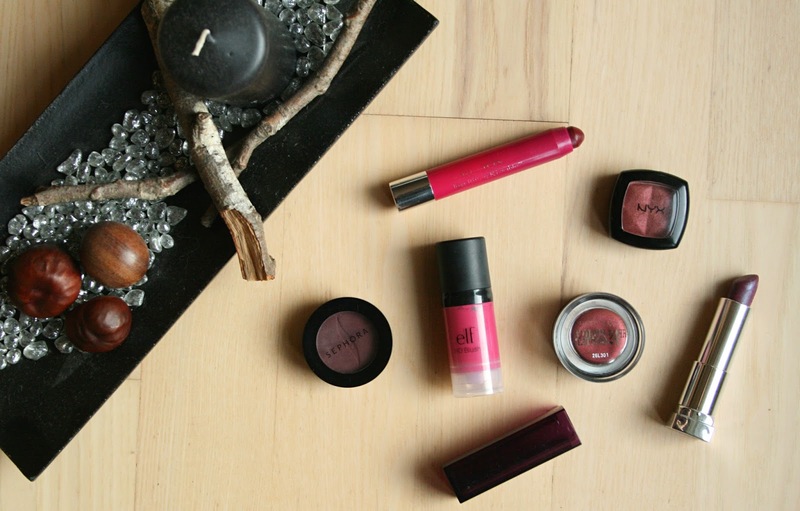 A great dupe for the Makeup Forever HD Cream Blushes and a great color for fall. This product is very, VERY pigmented, so be careful, you only need the tiniest amount. It's very long-lasting and not sticky at all. If you are scared of trying creme blushes, because you have oily skin, definitely give this a go, because it won't make your face more oily, it's just so matte and soft on your skin. This is the most perfect dark matte burgandy color. I love wearing this in the outer v of my eyelid to create some depth or all over the lid and into the crease for a dark, colored smokey-eye. This color is great for green, blue and hazel eyes and all the burgandy-plum-red eyeshadows are in general great for those eye colors. The Maybelline Color Tattoo 24hr Eyeshadows are known for being long-lasting, with beautiful pigmentation. This is a great stand alone cream eyeshadow or base to put under eyeshadows to give more of a vibrant look. A great lip color for all seasons. It can be worn very lightly for a dark pink sheen or darkened and intensified for a bright, dark-toned pink lip. These balm stains are long lasting and they wear very nicely because of the stained effect. This has recently been my favorite eyeshadow to grab for days where I want a little more going on, on my eyelids. It's a dark(ish) metallic red color, very pigmented and great to pair on top of the Maybelline Color Tattoo I mentioned before. If you love dark lips, this is the one for you. It's a dark purple color, with a very glossy finish. This is more of a daring lipstick and I definitely wouldn't wear this everyday, but it's great for this season!